UPDATE: Closed thanks for playing. 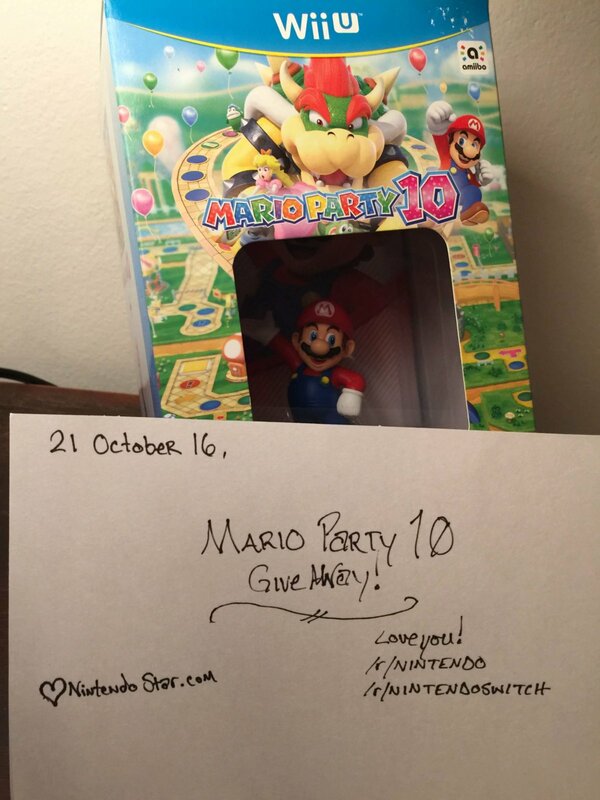 In a celebration of the glorious announcement by Nintendo, NintendoStar.com is giving away a copy of Mario Party 10 for Wii U. Remember we still have months to wait before Switch can deliver us to the Nintendo promised land! Obligatory proof photos are at the bottom of this post. 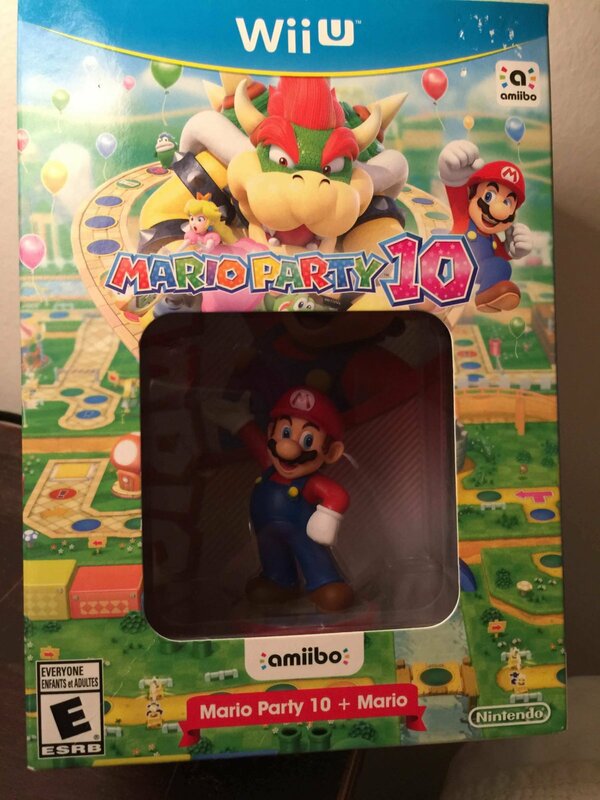 We really do love the Nintendo community and we don’t sell anything. Read this whole post to make sure your entries are counted! We’ll draw on 28 OCT 16. Entires are closed at 2359 EST on 28 OCT.
For Two Entries! Signup for our Email list on the right. This way you’ll get automatically entered into the next giveaway! Don’t worry we hate canned meat too. Once you’ve done any or all of the above three things leave a comment with what you did and we’ll randomly select a winner on 28 October 2016. Each person can have up to six entries. Using our handy Senior Advisor with his fancy Master’s degree in some kind of number handling, we’ll choose one person out of the pool. If you win, you’ll have to give us your mail address we can actually ship it to you OR the winner has the option of us traveling somewhere to Europe and giving it to a complete stranger (I am 100% serious). We’ll post proof, videos, etc. Please respond within two days to claim. So GO! BLOG, JOIN, TWEET! Remember we Love you.